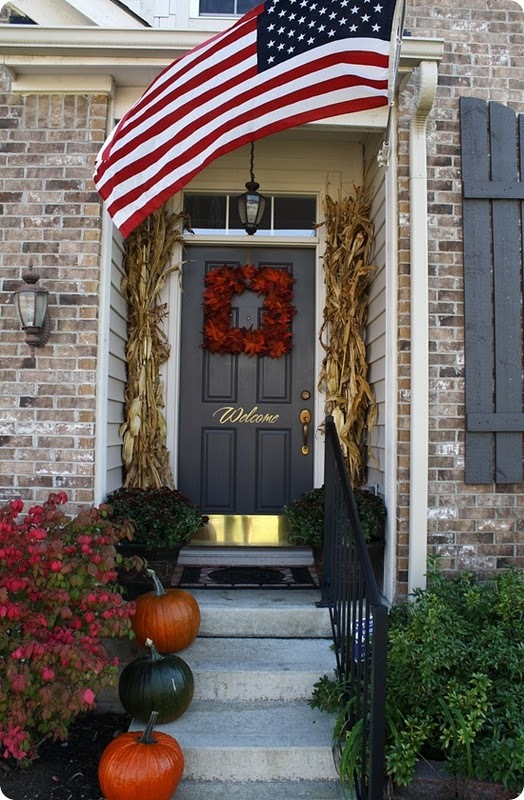 Here is my front Door -blah, although the potential it has for fall dress up is great! Please ignore the weeds, my imaginary gardener didn't show up this week. again. 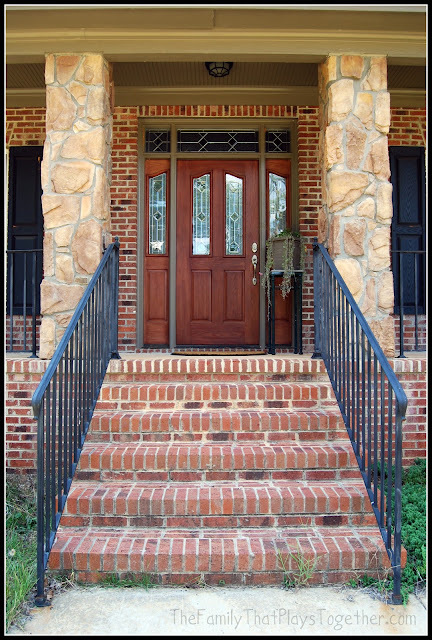 I think decorating around your front door is the cheapest and easiest way to keep you inspired to tackle the rest of your home. I'll have to be careful though, if I make it too pretty people will expect me to know what I'm doing inside the home. I'm totally rocking the sheets-as-my-custom-drapery thing right now. I'm sooo Bohemian. Good thing I don't have any judge-y friends. 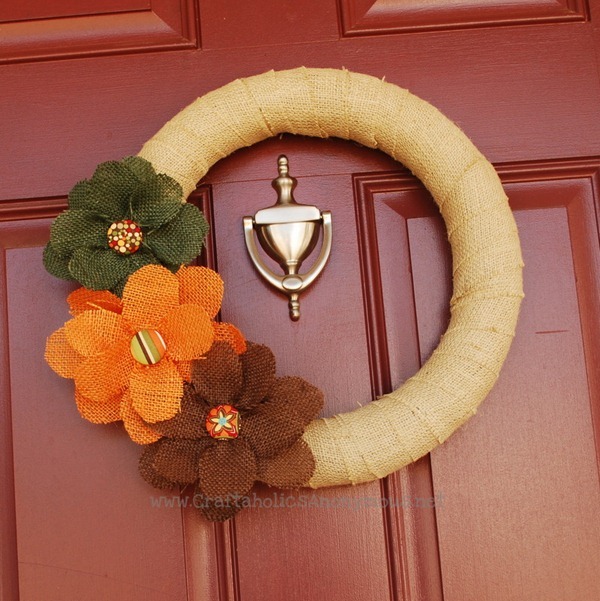 Thrify Decor Chick Made this wreath herself from Dollar Store leaves, and craft foam. That's my girl! I can't stand how much I love the yellow, red, orange and black combo here. I think the Halloween bunting out of Burlap is so sweet. This image out of BH&G has been plastered all over the internet this season! The earthy and approachable tones are just heavenly. These handmade yarn wreaths are adorable! Which would you pick? I want all three together. 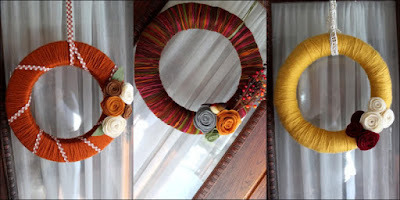 Wrap a craft ring with burlap? Burlap comes in colors? Shut Up! 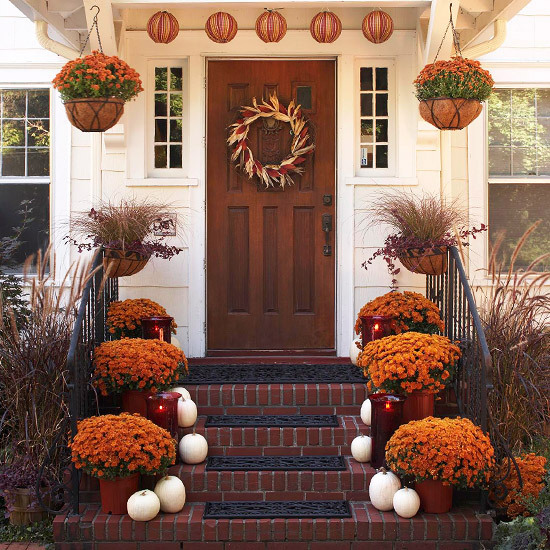 Tune in later for the reveal of my fall inspired front porch.